The head of the Cuban National Electoral Committee, Ana María Mari Machado, stressed the importance of electoral authorities correctly carrying out their responsibilities at all levels to have a successful April 25 elections. 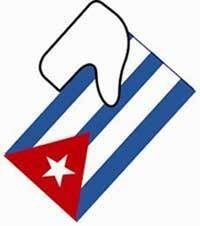 Electoral committee heads from Cuba’s western provinces —Pinar del Rio, Havana City, Havana (province) and Matanzas— met to discuss relevant issues linked to the election of delegates to the People’s Power Municipal Assemblies, which will take place on the aforementioned date. The meeting was mostly devoted to analyzing the outcomes of the verification and updating of the voter lists. They also discussed the nomination process, which will start on February 24. This year, there will be more than 50,900 constituencies country wide. Participants acknowledged the importance of providing training to the people presiding over the meetings where candidates are to be nominated. Cubans will be exercising one of the most transcendental rights guaranteed by our Constitution and Electoral Law: the right to nominate and elect, without distinction of race, gender or age, the person who will represent us at the constituency level. They also discussed logistical aspects related to communications, transportation and power supply during the campaign and elections and agreed to make all the necessary arrangements with the relevant institutions to guarantee a smooth process.